As an investment advisor, you require a sophisticated set of tools that track, aggregate and report on your clients’ investments. With portfolios containing both public marketable securities and private investment vehicles, your need for a comprehensive wealth management technology solution is top of mind. Ideally, you would implement a single system that is capable of handling your portfolio, performance and operational needs — but how do you know which system is right for your firm? 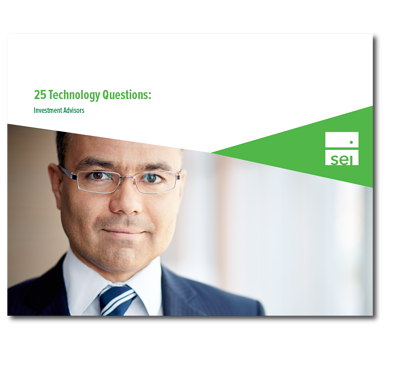 Download our 25 Technology Questions for Investment Advisors Guide to know the questions that will help you unveil the answers regarding portfolio management, performance calculations, reporting capabilities and third-party data integrations, so that you can select the solution that will move your firm towards a streamlined, fully-integrated investment management process.